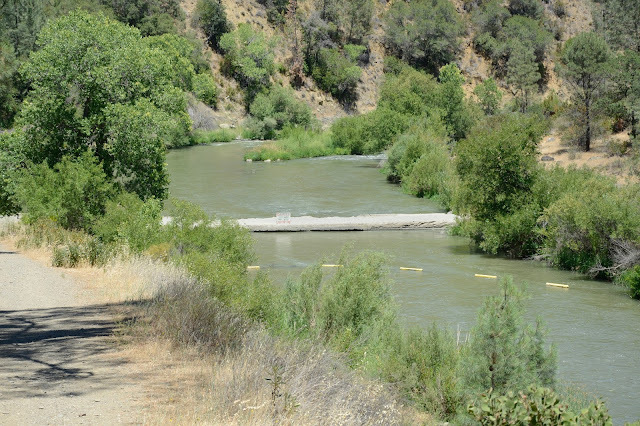 A little west of yesterday's Cache Creek Bridge through Rumsey Canyon is this bridge which becomes submerged during high flows and requires kayakers to portage their boats around the bridge during low flows. Moreover, the bridge (or culvert) currently appears to be seriously damaged. 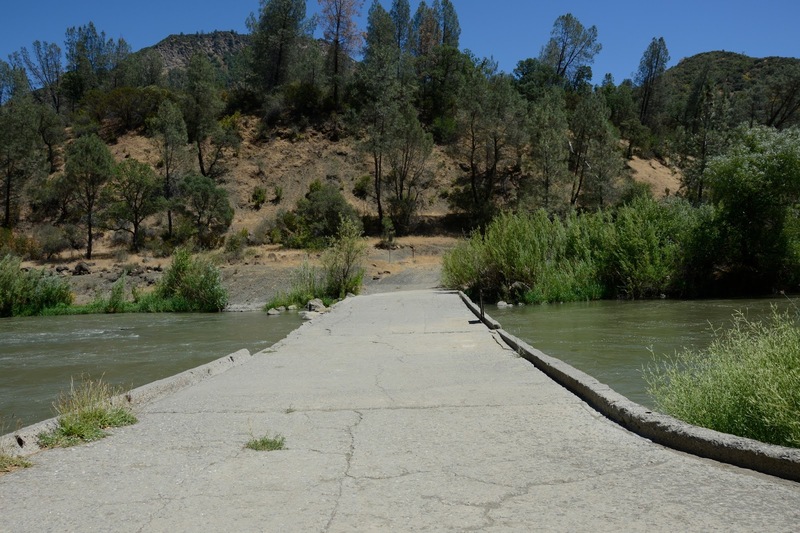 The County Route #40 Bridge over Cache Creek (22C0091) was built in 1930. It appears that it is now a danger to people on the river (who could be dragged under the bridge and drowned by the undertow) as well as a danger (at least to heavy vehicles) for people driving over its cracked and damaged spans. Apparently this bridge is an inexpensive way to provide access across Cache Creek by building a series of reinforced concrete box culverts across the river. This bridge is composed of six spans made up of a closed box, two open boxes, a closed box, and two more open boxes. Photos on the Bridgehunter Website show how the bridge looked during low river flows. It was closed in 2009. I imagine even when the bridge was under water, it was still possible to drive on it to get across the creek. This is another example of a ford or causeway, which are used (especially in poor countries) to allow people to cross the river, at least when it isn't flooded. Yolo County, California Bridges; County Road 40 Bridge across Cache Creek by Mark Yashinsky is licensed under a Creative Commons Attribution-NonCommercial-ShareAlike 3.0 United States License.